while PHA moisturize skin and remove dead skin cells without irritation. 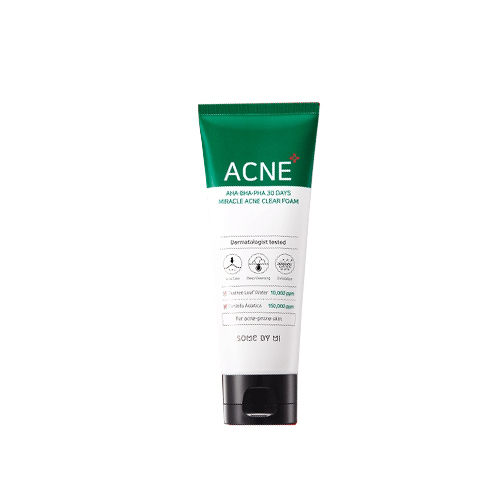 Contains Mugwort, Teatree, Centella Asiatica Extracts that protect skin while helping clean the pores. Take out some cleanser on the wet hand. Rub until there is rich foam. Gently spread and massage on the face for washing.